This morning, the U.S. Supreme Court denied the Utah Republican Party’s request to review a law that allows a dual path to the ballot for political candidates. Candidates seeking election can either collect signatures, go through the caucus-convention system, or both. SB54 Elections Amendments was passed in the 2014 Legislative Session. Over the next several years, a series of lawsuits were filed by the Utah Republican Party (URP) and others. In December 2014, the URP filed the first lawsuit against Governor Herbert and Lieutenant Governor Cox. In the lawsuit, the URP sought a preliminary injunction to stay the implementation of SB54. The court denied that request. In November 2015, the court closed the first case, rejecting nearly all of the claims in the first lawsuit and leaving SB54 largely intact. In January 2016, the URP filed a second lawsuit against Lieutenant Governor Cox, and the court held a hearing to discuss the claims that SB54 was unconstitutional. In February 2016, the Utah States District Court for the District of Utah certified two questions of state law to the Utah Supreme Court, which responded that a political party must allow its members to seek the party’s nomination through either or both methods of collecting signatures. In April 2016, the Utah States District Court for the District of Utah upheld the law as constitutional. In response, the URP appealed the District Court’s grant of summary judgment. In March 2018, the United States Court of Appeals for the Tenth Circuit affirmed the district court’s judgment upholding the dual-track nomination system. In October 2018, the Party petitioned the U.S. Supreme Court to review the Tenth Circuit’s decision upholding SB54. This morning, that petition was denied. 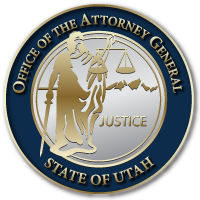 This entry was posted in Recent Posts and tagged Election Law, SB 54, SB 54 Elections Amendments, U.S. Supreme Court, Utah Attorney General's Office on March 4, 2019 .